Intelligent automation (IA) is a game changer for businesses today leading to unprecedented levels of growth, efficiency and quality. 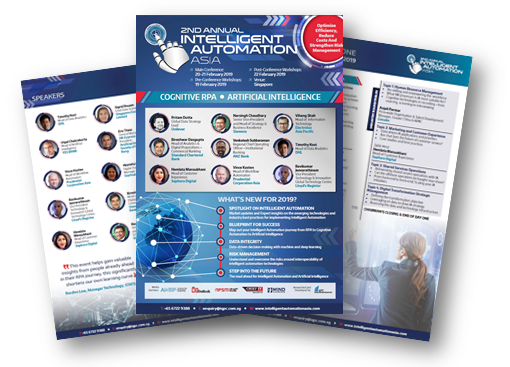 With the rapid growth of intelligent automation technologies and their applications can range from routine to revolutionary, it has become more important than ever for companies to stay ahead of the game as the industry moves from basic Robotic Processing Automation (RPA) to sophisticated IA technologies including cognitive, machine learning and Artificial Intelligence (AI). What does the future hold for Artificial Intelligence in Asia?